Over four years ago Carl and I decided to search for talented athletes in the little-known landlocked kingdom of Lesotho on the run up to the 2012 London Olympics. Specifically we were looking at athletes that had some support from their local Olympic committees and were shortlisted to participate in the Olympic Games. We had no funding or distribution plan for the short films we planned to make, nobody really cared about the athletes, even in Lesotho. The films were just for the love of filmmaking, sport, and Lesotho. As the selection process for the Olympics narrowed down and looked to be favoring Tsepo Mathibelle (then Tsepo Ramonene) to participate we started to focus on him alone. We made our short running film with a Canon 60D and a homemade cable dolly, released it online and on Lesotho TV, and it remains our most popular independent piece still today. 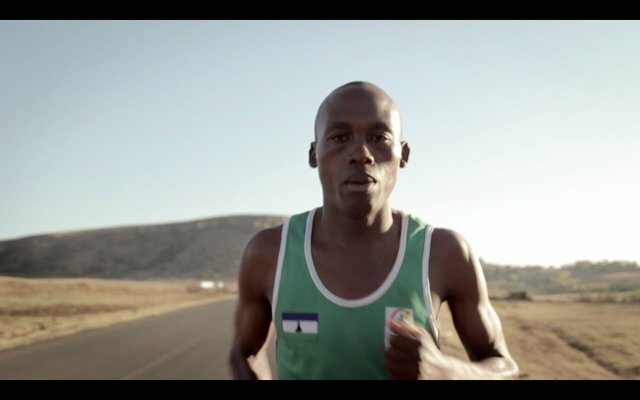 Shortly after making the film Tsepo competed in the Olympic Marathon and finished in 85th place, dead last. The whole world watched him struggle and push to cross the finish line, of which was only his second marathon, with an injury. Tsepo has always been the sole breadwinner in his family. He feeds his family from his race winnings. Both his parents are unemployed. His dad receives a very small pension from working in the mines, but not enough to support the family. So around the same time as the Olympics we used the film and hype to help successfully crowdfund for Tsepo’s education. The years passed and we expected success in his running as he remained undeterred, against the odds, but we are still constantly being surprised with every new development. After a few years the right people had seen our 2012 film on Tsepo and we got a call regarding a Samsung sponsorship for Tsepo. Soon after that we found ourselves mixed up with an American production, led by Academy Award winning director Morgan Neville, making a documentary on Tsepo and three other athletes from other countries for Samsung, called ‘A Fighting Chance‘. 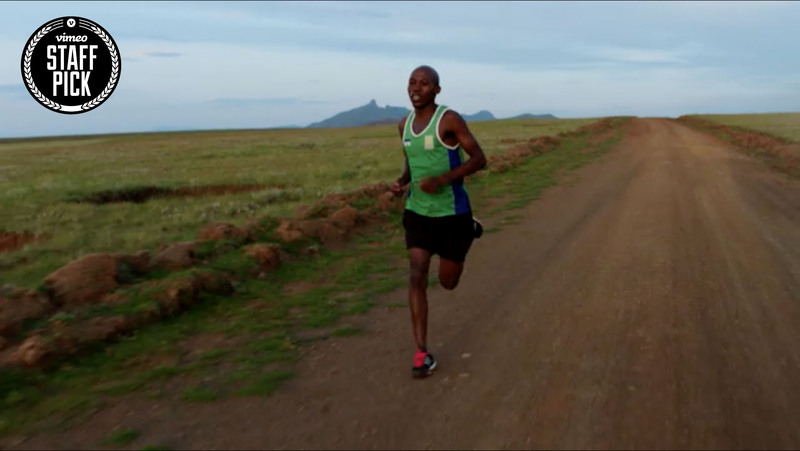 The latest news on Tsepo… He came 14th in the Beijing Marathon World Championships after holding the lead up to 30km. And most epic of all for us filmmakers is his recent participation in a production in Hollywood (probably can’t say more than that). And at the time of writing this he is on his way to a Kenyan training camp for two months of serious training with the worlds best marathon runners. 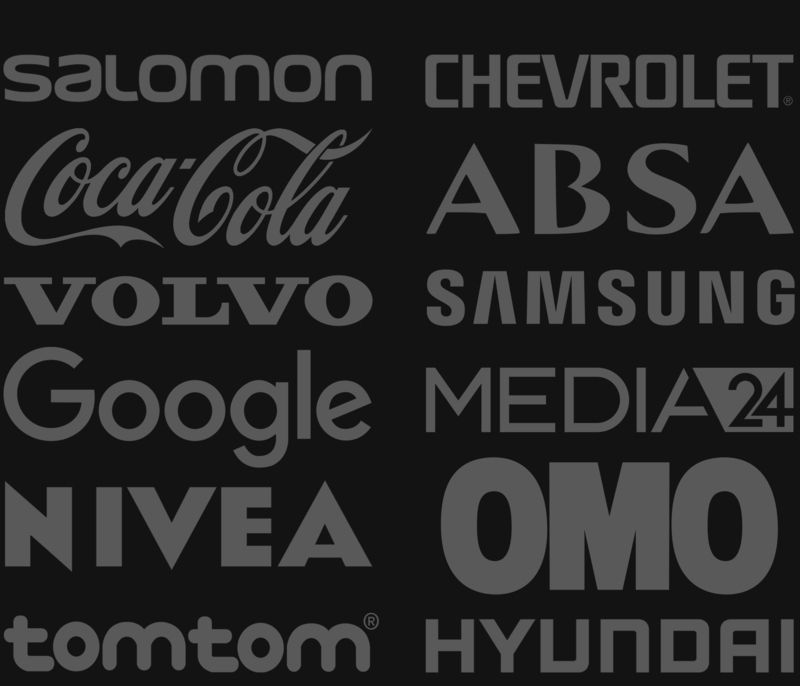 Impressed! Keep up the good work! I am very happy and give prais glory to God…Thanks very much Mr Carl..Khosi..and Christian by the support you provided to me and My life…May God sprinkle His blessing over your dreams to come true in future…no words to say but God knows..thinking..asking My self…watching..tearing but not loud..God thanks for everything you dod to me and talent..please protect me and let me shows the world you gaved me talent to live…. Keep on going brother. I’m impressed by your passion.